A number of dangerous drugs are easy for people to get their hands on. What many don’t know, though, is that alcohol is one of the worst. This drug is not only addictive but can also cause life-threatening withdrawal symptoms. Below are a few things that you need to know about alcohol detox. Some people think that they can get through alcohol detox on their own. They believe that the drug isn’t dangerous because it’s so readily available in retail and online stores. However, once individuals develop an addiction to alcohol, it’s extremely hard to quit drinking. In some cases, detoxing from the drug is fatal. Those with serious alcohol addictions have a high risk for delirium tremens during withdrawal. This condition occurs in about 5% of people who undergo alcohol detox. It happens on the second or third day after they have their last drink. Delirium tremens results in hallucinations, seizures, and death in some cases. To put it into perspective, detoxing from alcohol is more extreme than even detoxing from heroin. In most cases, heroin detox doesn’t cause death. For this reason, quitting alcohol cold turkey is never a good idea. People should also always seek professional help to detox. Like with most drugs, everyone detoxes from alcohol at different rates. However, there’s a general withdrawal timeline that most people fit into. 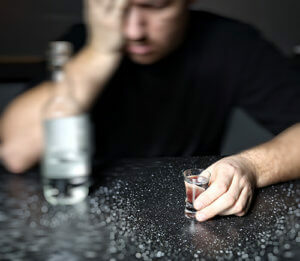 Overall, there are three phases of alcohol withdrawal. The first phase occurs within the first eight hours after their last alcoholic drink. They usually suffer from anxiety, nausea, and insomnia. The second stage occurs within one to three days and brings high blood pressure and increased body temperature. The last phase occurs within the first week and causes hallucinations, fever, and seizures. Without professional help, this stage can last for weeks. Is Alcohol Abuse Really a Problem? Yes, alcohol abuse is a real problem all over the United States. According to the Centers for Disease Control and Prevention, alcohol abuse results in a staggering number of deaths. Between 2006 and 2010, the drug killed one out of 10 adults between the ages of 20 and 64. It’s also worth pointing out that alcohol leads to numerous emergency room visits every year. In fact, one out of three people visits the emergency room because of alcohol. Sometimes they’re there because they drink too much alcohol. Other times, it’s because they get hurt while they’re under the influence of alcohol. Woodlands Recovery Centers also offer dual diagnosis treatment, which is an important part of any rehab program. It helps people deal with both their addiction and other underlying mental illnesses. Dealing with underlying issues is an essential step in preventing relapse after treatment. Don’t let your addiction to alcohol keep you from spending more time with your friends and family. Reach out to Woodlands Recovery Centers today to get the alcohol addiction treatment that you need. Call (855)752-3377 to learn more about how we can help.